If meat, cheese, and more meat on a beautifully toasted, buttery bun sounds bad to you, then we’re sorry and we don’t know how to help you (just kidding vegetarians, we love you too!). But seriously, the little meat bomb here comes topped with braised short ribs and according to the rules, if you put braised short ribs on top of something, you win. At least that’s how we play. 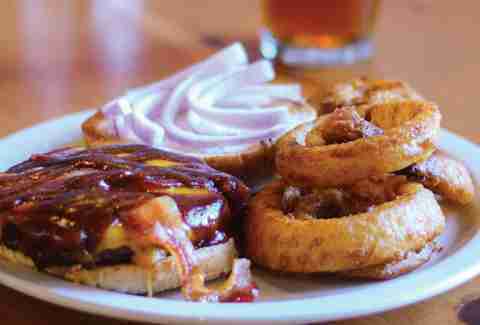 Their signature Swanee burger is a loosely packed meat-puck that comes out juicy and decedent, plus it's topped with fried onions, a slice of melty American cheese, and a few strips of bacon. Oddly enough, it also comes with a side of blue cheese dressing that we initially thought about leaving untouched, but soon found the tangy addition was kind of an out-of-left-field surprise that makes this a burger worth the drive. We all love the Juicy Nookie, but it’s bigger, badder cousin, the Nookie Supreme, is no joke either. No, it’s not stuffed full of molten cheese, but this good ol’ double-stacked cheeseburger with lettuce, tomato, grilled onions, and special sauce is delicious and huge to the point where if you eat two of them (and the fries), you get a free T-shirt. 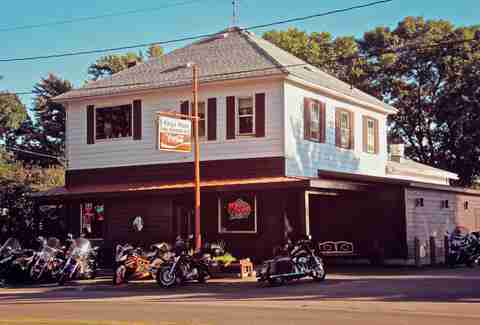 This is another one of those small, unassuming places out (seemingly) in the middle of nowhere. The big surprise comes when you open your menu and realize that there're currently more than 50 different varieties of burgers. We’re not really sure how you’re supposed to begin narrowing it down, but we suggest going for one with a baseball-themed name. What’s that you say? They all have baseball themed names? Well then we guess you just can’t really go wrong then can you?! We know they make good beer, but they also sling some sweet burgers, like the BH Cowboy Burger w/ a grass-fed beef patty topped with cheddar cheese, bacon, onion straws, and cowboy sauce, which we promise, is way better than it sounds. 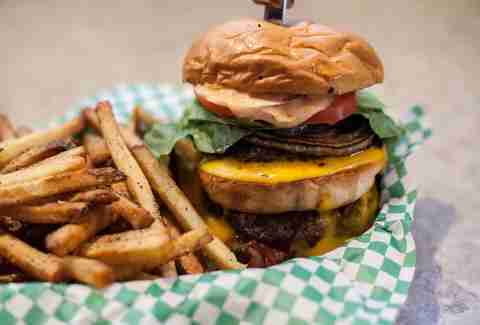 It may be newish to the Twin Cities' burger scene, but that hasn't stopped it from turning out so many quality burgers, along with weekly and daily specials, that it’s hard to choose. 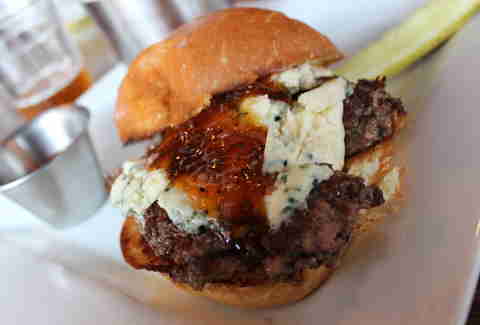 Pictured above was a special burger made with locally produced blue cheese and an apricot jam, but you also might want to check out the Ultimate burger. You may have read a little something about “lose-meat” sandwiches in our round-up of the 21 best Midwestern foods, and while we’re not really sure if this constitutes a proper "burger", it’s close enough to mention here because people go bonkers for this thing, and if you give it a try, you’ll quickly understand why. 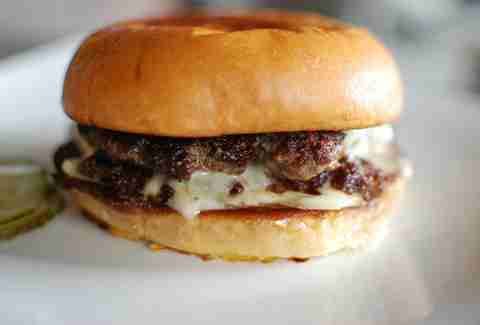 A list of best burgers just wouldn’t be complete without the addition of Matt’s Jucy Lucy. 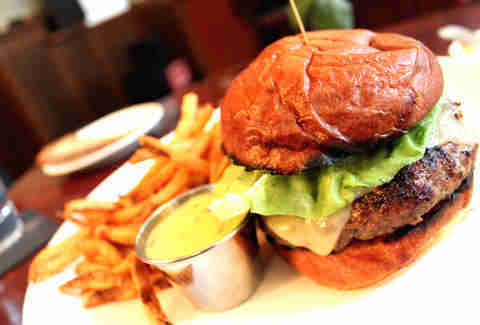 The thing that most people don’t understand or tend to push off about this burger is its sheer simplicity. It’s a perfectly crusted, caramelized burger filled with melty cheese on a cheap, soft bun with grilled onions. In theory, it sounds like the kind of thing that you could get anywhere, but realistically, you can’t. That’s what makes this so incredibly special. Hell, even the President has eaten there. 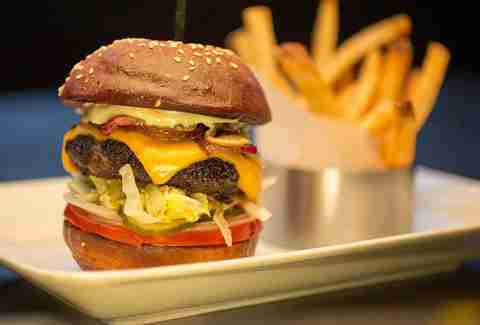 This burger is perfect for many of the same reasons the Jucy Lucy at Matt’s is perfect. 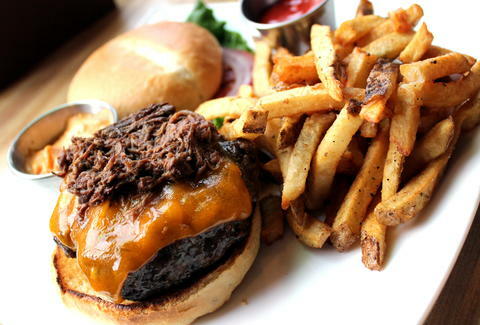 It’s a simple cheese burger; that’s it. The difference is that the Parlour burger, as simple as it seems, is actually a little bit more posh than it leads on due to the fact that it has three different cuts of higher quality meat. This burger might seem overly fancy with its grass-fed beef, roasted garlic aioli, shallot confit, and Emmental cheese, but deep down, it’s just a it’s just a rich, decedent, and perfectly cooked burger. Pro-tip: don’t pass on getting the side of Béarnaise for your fries as you’ll deeply regret it later. At this point everybody’s stuffing cheese into burgers, and we’re fine with that, but it takes some gumption to stuff a burger with braised short ribs. Of course Vincent’s been doing this for a long time, but it never really seems to get old and is a pretty consistent favorite of those in the know. 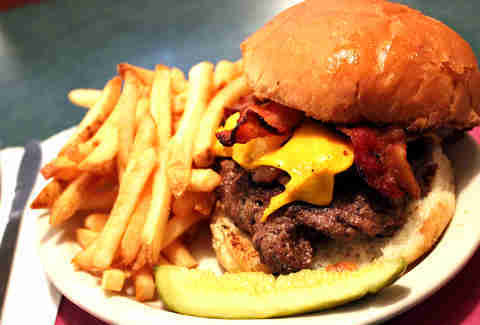 Seriously, this burger reigns supreme, and we all know it. It comes perfectly cooked, topped with every single thing you could ever really want on a burger, and is served on a super-buttery, toasted bun. This is one burger that just doesn’t screw around, and neither should you.